Newcastle continue their battle for Premier League survival when they welcome Manchester City to St.James' Park on Tuesday night! Don't miss our NEWCASTLE v MANCHESTER CITY betting preview with free predictions, betting tips, highest odds, probable line-ups, betting offers and no deposit bonuses on this clash! Newcastle claimed a pivotal 3-0 success over Swansea at the weekend – their first under Rafael Benitez - ending disastrous run of six defeats and one draw in their last seven league games. They remain second bottom, two points behind Sunderland and three points short of the tenuous safety enjoyed by 17th-placed Norwich. Rafa Benitez still has a host of injury concerns but will be tempted to field an unchanged line-up after a convincing home win over Swansea last time out. Anyway, Aleksandar Mitrovic could get the nod this time around with Papiss Cissè making way. Andros Townsend, Moussa Sissoko and Georginio Wijnaldum are expected to line up behind the lone striker. Tim Krul, Robert Elliot, Daryl Janmaat, Fabricio Coloccini and Massadio Haidara are all sidelined. Manchester City followed up their Champions League quarter-final victory against PSG last Wednesday by thumping Chelsea 0-3 at Stamford Bridge on Saturday. They are unbeaten in their last 5 games in all competitions, 4 wins and 1 draw. The return from injury of Kevin De Bruyne has been one of the major reasons behind City's upturn in form, as has Sergio Aguero's form in front of goal. Vincent Kompany and Raheem Sterling have been passed fit, though Samir Nasri, Gael Clichy, Bacary Sagna and David Silva miss out. Manager Manuel Pellegrini is not expected to make wholesale changes to his XI, though Bacary Sagna could start at right-back. The Chilean could move to a 4-4-2 to accommodate Wilfried Bony alongside Sergio Aguero up front. Man City have come out on top in each of the last 12 Premier League meetings against the Magpies. The Citizens have scored 23 goals and conceding just one in the last six league direct encounters. Sergio Aguero scored five goals in City’s 6-1 win in the reverse match. Enhanced Odds! 5/1 Man City to to win + £100 bonus! Risk-free! Crazy price! 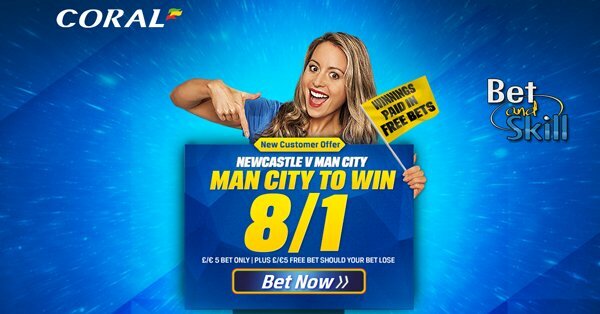 8/1 Man City to beat Newcastle + £5 free bet! Enhanced price! 6/1 Manchester City to win the match! Price boost! 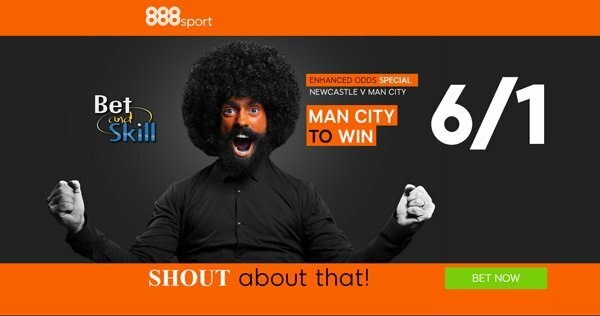 Get 6/1 Manchester City to beat Newcastle! "Newcastle v Manchester City predictions, betting tips, lineups and odds (Premier League - 19.4.2016)"